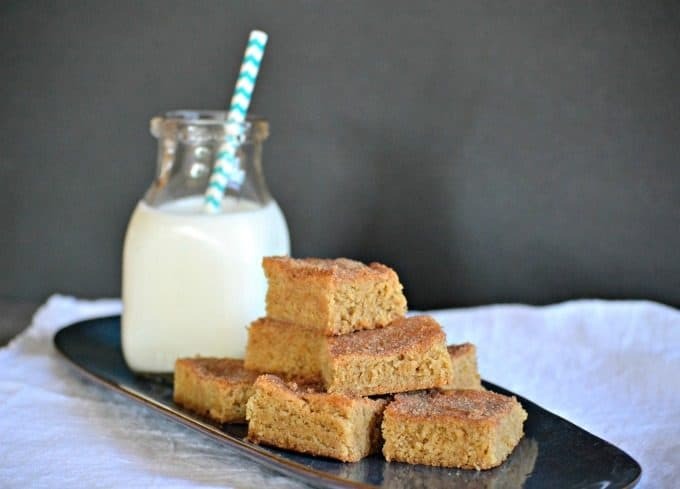 Snickerdoodle Bars – the cookie everyone loves in a delicious cinnamon sugar, chewy bar. It’s an easy dessert that will be a great ending to your next get together. Snickerdoodles are one of my absolute favorite cookies, especially when they’re just a touch chewy. *This post was originally published on July 16, 2011, but has been updated in recipe format and photos. Original photos can be found at the bottom. Have I told you that I like things that are chewy? I don’t know what it is, but any kind of candy that’s chewy or cookie chewies HAHA!! It’s past bedtime and I could really fall asleep on this couch again like last night right now! I type and then I put my head back and shut my eyes. Pretty soon the eyes are not going to open again. My goal next week (it’s always good to have a goal, right?) is to bake in the mornings so that I can write my posts in the afternoon so that I can go to bed by 9 or so! Ok, maybe not 9, but earlier than 11! AND if I’m baking in the morning, the natural light will be better for me to take pictures in because I can’t stand using the flash. 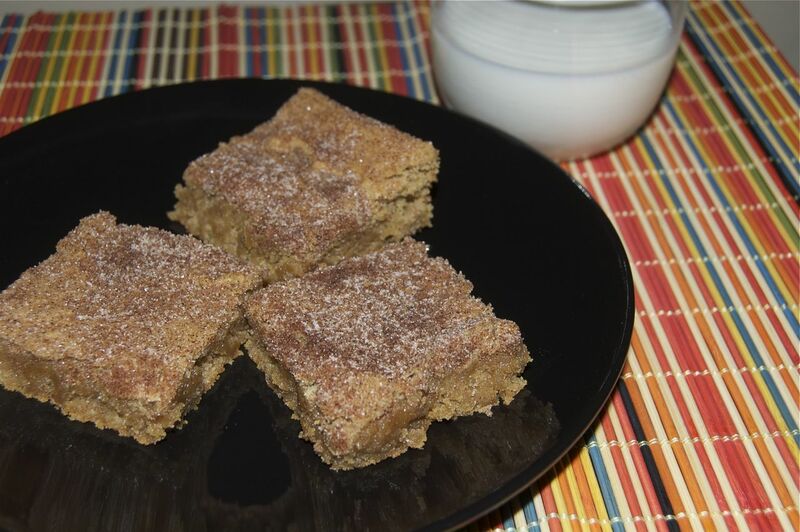 This lovely recipe comes from Michelle at the Brown Eyed Baker and she found it at My Baking Addiction. Thank you, Michelle and Jamie!!! Preheat oven to 350 degrees F and prepare a 9 X 13-inch baking dish by spraying it lightly with cooking spray. 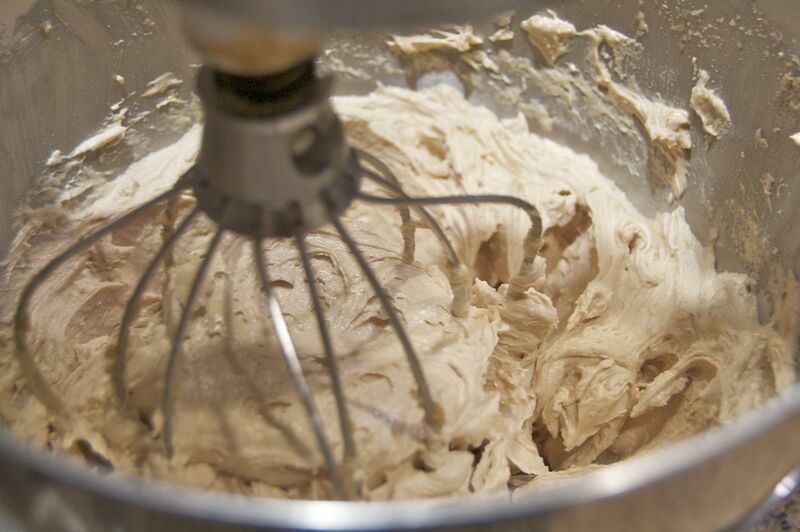 In a mixing bowl, cream the butter and brown sugar on medium speed until light and fluffy. It should take about 5 minutes. In a medium bowl, whisk together the flour, baking powder, salt, cinnamon and nutmeg. individually add the eggs until well mixed. Pour in the vanilla. Be sure to scrape down the sides of the mixing bowl before going on. With the mixer on low, gradually add the flour mixture until just combined. 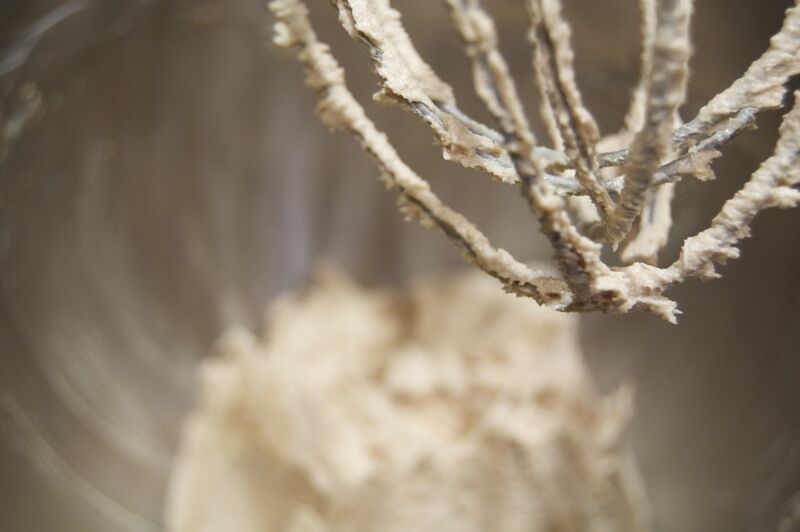 Scrape the sides of the bowl and make sure that all of the flour has been mixed in on the bottom. Put dough into prepared baking dish and with an offset spatula, spread evenly. 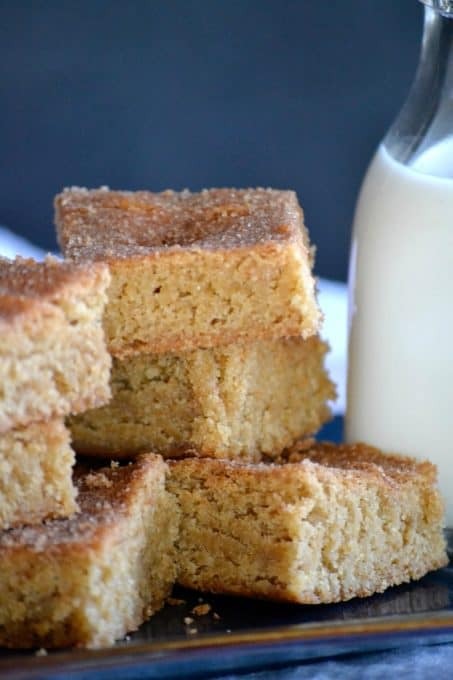 In a small bowl, mix granulated sugar and cinnamon. Sprinkle it evenly over the top. Bake for 25-30 minutes or until surface springs back when touched lightly. I loved shopping today! Plate – $1.00, placemat – $0.49, finding cool props for food photography = priceless!! 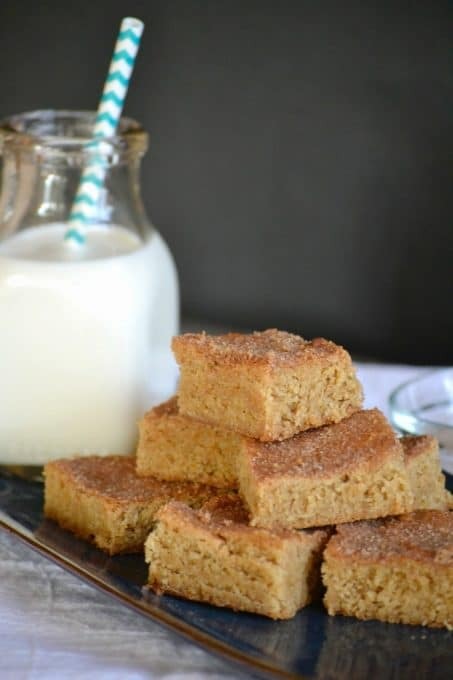 I rate everything I bake on a scale of 1-4 and these Snickerdoodle Bars earned 3 1/2 rolling pins. The smell of cinnamon while they were baking was unbelievable! So yummy! They were so tasty, too! I think they could have used another 5 minutes in the oven because I took them out after 25 minutes and didn’t do the finger touch test, so they were a tad underdone in the middle. But I think that may have made them even a bit more delicious. I really liked that the outer part was done and there was a little doughy inside. And cinnamony. They were cinnamony, but not too much. I read somewhere that after you cook fish in the oven it’s good to put a cookie sheet sprinkled with cinnamon into the oven to bake for 10 – 15 minutes. I’ve tried it before and it works pretty well. We’re all sleeping in tomorrow!! Woo Hoo! I’ll probably be up at 7, but it’ll be 2 hours later than usual. I remember the cookies as a kid, these look fantastic! I recently made Snickerdoodle cookies with a white cake mix! So easy and delish! Ooh, Peggy, that’s great! I never thought of doing that. Made them with coconut flour! Delish! That’s so great to hear. Thanks, Sarah! Curious what the ratio of coconut flour you substituted for regular flour? Any other adjustments? 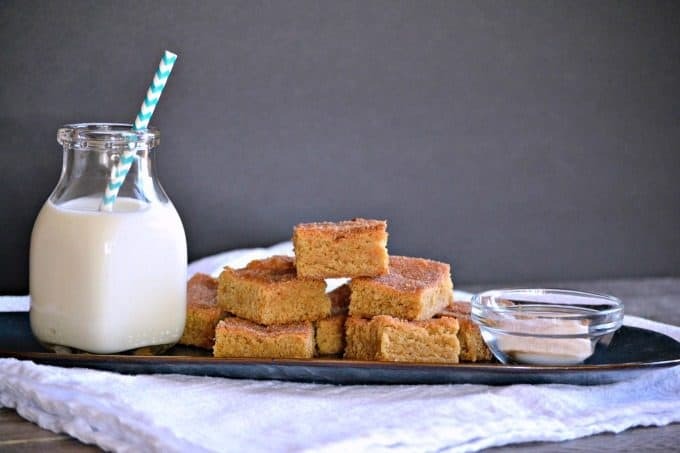 How can they taste like Snickerdoodles? There’s no cream of tartar in them!? Simple ingredients, great idea ! Thank you and have a pleasant day !